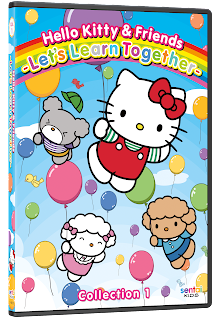 Hello Kitty & Friends: Let's Learn Together, a two DVD collection for preschoolers, is now available on DVD just in time for holiday gift giving. One of my favorite characters growing up was Hello Kitty. I am so excited to share Hello Kitty with my daughters! I received a copy of Hello Kitty & Friends: Let's Learn Together for review. This post contains affiliate links. The iconic Hello Kitty cartoon is coming to Preschool! An all-new video collection of everyone’s favorite Japanese cat will help preschoolers learn letters, numbers and colors. “Hello Kitty & Friends: Let’s Learn Together” is a two-DVD collection that lets millennial parents share Hello Kitty with their own children. Two all-new home video collections bring the winsome Hello Kitty characters to life for preschoolers, as the first offering from the new distribution label Sentai KIDS. Each DVD collection, with no fuss, parent friendly, POP N PLAYsm functionality, features over an hour of educational, engaging entertainment content geared toward preschool learners. The series explores numbers, shapes, animals and other age-appropriate concepts like good manners and making friends, all with the engaging antics of Hello Kitty and her friends: Mimi, Amy, Eric, and Harry. In stores and online on November 20, the two DVD collections will be available at online retailers and brick-and-mortar stores including Best Buy, Target and WalMart. Hello Kitty: Let¹s Learn Together will also be available on digital sell-through outlets including Amazon and Apple iTunes. My four year old really enjoyed Hello Kitty and her friends! They are cute and colorful, and just as much fun as the Hello Kitty I remember growing up. I love that it reinforces learning concepts in math, science and reading! Be sure to visit our 2018 Holiday Gift Guide for more great gift ideas! This giveaway is not in any way associated with or endorsed by Facebook, Instagram, Pinterest or Twitter. 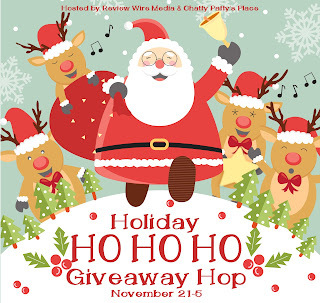 Giveaway Ends 12/5/18 at 11:59 EST. US Residents **18 and older** only may enter. One entry per household and IP address. Winner will be drawn using random.org and will have **24 hrs** to respond to email or another winner will be chosen. Entries are verified. No purchase necessary. Void where prohibited by law. The number of eligible entries received determines the odds of winning. The Attic Girl is not responsible/liable for prize delivery. By entering the giveaway, you agree to the Giveaway terms/rules. 2 comments on "Hello Kitty & Friends: Let's Learn Together Giveaway @sentaikids #Sponsored #HoHoHoHop #HolidayGiftGuide #HelloKittyFriends"
Giggle Wiggle is a cute caterpillar with hands and feet to spare! Race to place your colored marbles from his bottom row of hands all the way to the top as he wiggles to the music! Watch out--Giggle will try to knock off your marbles! If he does, just pick them up and keep racing.